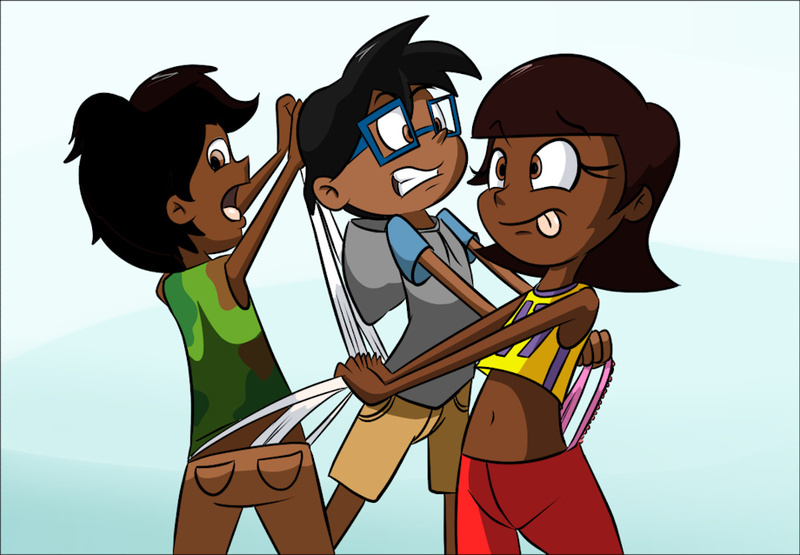 Huzzah for random wedgie shenanigans.
. . . That's it, just these three wedgieing each other. Go check out the artist, MonkeyCheese.